GERD and Probiotics: Is There A Connection? With Which Probiotics? GERD and Probiotics: Is Their A Connection? There are also many alternative therapies for occasional heartburn and indigestion, including baking soda, some peppermint and many others. What is the evidence supporting GERD and probiotics? Balancing the gut flora and encouraging proper functioning of the digestive tract are where probiotics excel, so it shouldn’t be a surprise that GERD and probiotics may be a lovely combination. Researchers know that probiotics speed up gastric emptying, so there is less chance of excess acid production and reflux. Also, by balancing the flora in the small intestine and colon, there is less chance that excess bloating and gas will take place and have ‘back up’ effects into the stomach. As mentioned, the goal of conventional anti-acid medications is to reduce stomach acidity. That can provide relief for the discomfort of excess stomach acid for the short-term. Reducing the pH in the stomach can, however, hinder proper digestion and set the stage for dysbiosis (unbalanced flora) in the gastrointestinal (GI) tract. Probiotics work on the root cause of some forms of GERD, not just the symptoms. Your body needs stomach acid to release protein-digesting enzymes, kill harmful microbes, and trigger the release of other digestive enzymes from the pancreas, bile from the gallbladder, and other chemicals so that the food is properly digested, absorbed and moved along the GI tract. Stomach acid is not always a villain, and when you look at possible causes for your GERD, you may find that diet and lifestyle habit improvements can significantly lessen your misery. With reflux, stomach contents can backflow into the esophagus. As you may expect, this can alter the microbiota in the esophagus. Research into the esophageal microbiome is in its early stages, but the early studies show that there is a diverse microbial population in the esophagus. Gram-positive bacteria such as Streptococcus dominate in healthy states, and Gram-negative bacteria dominate in unhealthy states such as reflux and Barrett's esophagus. Is a disrupted esophageal microbiome a cause of disease or an effect of diseases? Can probiotics help with this disrupted microbiome? Those are some of the questions that researchers hope to answer. What Do Studies Show About GERD and Probiotics? There are at least 2 studies that show that GERD and probiotics may be a good combination. In one 30-day study with infants who kept spitting up, probiotics reduced their gas, sped up stomach emptying and diminished the frequency of regurgitation by 75%. 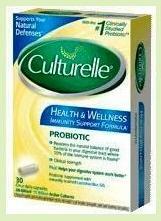 The probiotic used was Lactobacillus reuteri DSM 17938 at a dosage of 100 million cfu/day. In a study with adults who have a disease (scleroderma) which makes their tissues (including their gut) more fibrous, all of the adults were on a PPI like Prilosec, on antidepressants, on meds to dilate their blood vessels and some were on steroids. All of them had some kind of digestive issue, including reflux, even while on the Prilosec. After 2 months of probiotics, these adults experienced significant improvements in their GI function, including significant improvements in bloating, gas and reflux. The probiotics used in the adult study were Align, a Bifidobacterium infantis 35624 supplement (1 billion cfu/d of Bifantis®) or Culturelle, a Lactobacillus rhamnosus GG supplement (1 billion cfu/day). These studies show that help for GERD with probiotics in different people was achieved with more than just one particular probiotic microbe. This is because everyone’s needs are different. First of all, remember that this site is not meant to diagnose, prescribe, treat or cure any disease. So please check with your doctor if you have any questions, and do not discontinue any medications without his/her approval. You can try Align or Culturelle and see if they work for you, or try the BioGaia Lemon-Flavored Chewable Probiotics, or BioGaia Probiotic Infant Drops or BioGaia Probiotic Straws if you are using them for an infant or child. Probiotics CAN help with GERD for many reasons, and unless your doctor advises you not to, giving them a try just may save you from the unpleasant side effects of GERD medications while improving your overall digestion and immune system function. The side effects of probiotics are minimal in otherwise healthy people. Remember to make the appropriate changes in your diet and lifestyle, and if you need help with those, consider nutritional consultations with me.